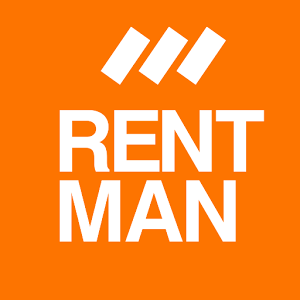 Rentman offers the possibility to centrally save all the company's files. Use the file management function to save maps at venues, drivers and scripts at projects and ID copies at your staff. For the up-and downloading of files additional rights are needed. To add files, equipment, employee, vehicle, contact or project needs to be saved first. To add a file, select it from your computer and drag it to the field via drag-and-drop. You can also download files by opening the desired module and clicking on "Files". Afterwards you select the file that you would like to download and click on "Download". Your account has a basic storage space of 1 GB. Before you reach this limit the software will notify you.